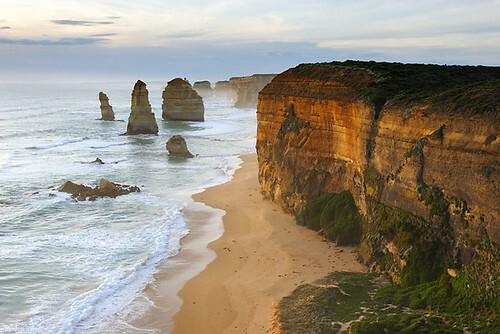 The Twelve Apostles tends to be part of a day trip for most travelling the Great Ocean Road in Victoria, Australia, but for those with time up their sleeve, Port Campbell is the perfect stopover point for a few days. 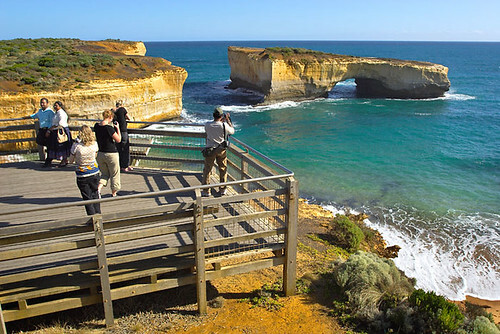 The weather during summer and autumn is ideal for exploring the limestone cliffs of Port Campbell National Park. With iconic natural features being the major drawcard, the township is compact and friendly. With cafes and a cosy pub, your tummy bugs can be satisfied in a jiffy. Motel accommodation is popular and it’s advisable to enquire in advance during busier times. Comfortable apartments and a caravan park can be found within walking distance of the takeaways, with a supermarket able to provide most of your needs. Port Campbell has a small jetty which is popular amongst fishermen, and it’s a beaut platform for diving . The combination of fishing and teenagers diving into the depths tends to result in fishermen going home with empty buckets. The Visitor Information Centre is located in Morris Street and is the best place to source fact sheets from the friendly staff who can provide advice about local highlights.